A Chinese professor, Ge, was suspended from his university after he and a female companion were exposed for brutalising a sanitation worker for wasting their ‘precious’ time. The incident happened in the city of Xi’an, China on Oct 4, 2017. Apparently, Ge’s car was blocked by the female cleaner’s rubbish truck, reports World of Buzz. In a fit of rage, Ge and his companion alighted the vehicle and assaulted the cleaner until she bled profusely. A netizen staying in an apartment nearby overheard the situation and went to investigate. “I was resting at home when I heard weeping outside my window. “I thought it was a child being scolded by their parents but it grew louder and didn’t sound like a child. “So, I walked over to my window to check it out. “How much money do I make? “How much money do you make? Ge himself then stepped forth and started beating up the cleaner. At that point, the netizen could no longer tolerate the duo’s barbaric act and decided to stand up for the defenceless cleaner. It was then the Ge realised that there were witnesses and he and his companion attempted to escape. His escape plans were foiled by several neighbours who had been drawn to the commotion. At this point, Ge even tried justifying his actions, putting the blame on the cleaner. The netizen decided to lodge a police report but was accosted by a man at the station who claimed to be an assistant of Ge. The assistant claimed that the professor had just returned from overseas and was unfamiliar with the local customs. 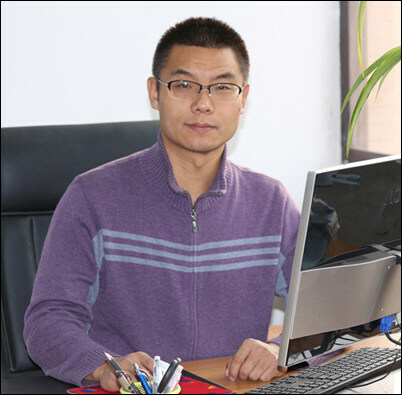 From him, the netizen found out that Ge was a professor at Shaanxi University of Science and Technology. Feeling that Ge was unfit to be a teacher, the netizen decided to teach him a lesson. With the help of several other netizens, they managed to track down Ge and expose his ugly deeds. Unsurprisingly, Ge was suspended from the university. His female companion, a family member, is not affiliated with the university, local media reports. The police have confirmed the case and are currently investigating the incident. Since the incident was brought to light, Ge has written a letter of apology which was posted on Shaanxi University’s official Weibo account. In his letter, Ge said he regretted his actions and will be paying for the medical expenses of the cleaner. However, some netizens have been less than convinced, with some saying he is ‘unfit to be in education’.